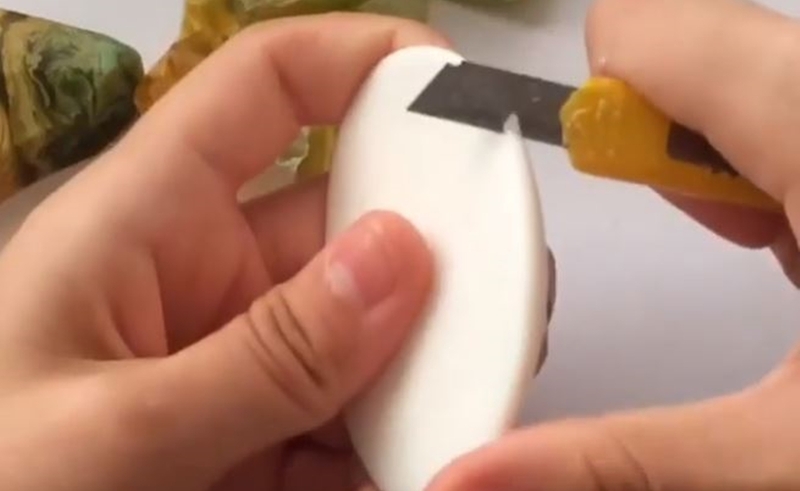 Could Soap-Cutting Videos Be The Successor To YouTube’s Massive Slime Craze? The popularity of slime videos on YouTube has been well-documented — with some of the most popular such channels raking in six-figures monthly and even headlining national tours. But if a bevy of glue and Borax concoction clips has reached a saturation point, The Daily Beast reports that a successor trend may be waiting in the wings — videos that feature bars of soap being carved, melted, and dissolved. There’s even a name for the proliferation of soap-themed videos on Instagram, according to the outlet, as many practitioners call the genre ‘Soapstagram‘. The appeal primarily lies in a calming sensation that the videos impart due to their repetitive nature — not unlike ASMR. Soapstagram videos typically feature no sound but those produced by the experiment, and show only a creator’s hands as he or she works to whittle down a single bar of soap. There is also a premium placed, according to The Daily Beast, on not wanting to waste any product during these experiments, and so creators frequently note that they reconstitute scraps after filming for future use. Many of the most popular Soapstagrammers happen to hail from Russia, according to The Daily Beast, given the popularity of bar soap there.